As I have started using Twilio in my applications extensively, for one of the clients there was a need to send out texts from the MS Access database application. After looking around, I have read about MS Outlook text messaging service, but most of the providers were quite shady, so I had decided to write code myself. Which I am sharing now with you. objSvrHTTP.Open "POST", "https://api.twilio.com/2010-04-01/Accounts/YOUR_TWILIO_SID_HERE/SMS/Messages.Xml", False, "YOUR_TWILIO_SID_HERE", "YOUR_TWILIO_AUTH_TOKEN_HERE"
"Twilio website address is wrong"
Thanks for the nice piece of code sending Twilio messages via MS Access. I’ve done a lot of work in Access but not with web integration so I appreciate the heads up as you’ve saved me hours in research and development… I’m going to take this as a starting point and rack my brain and see what I come up with in receiving messages from Twilio via MS Access as well… If your interested in seeing what my solution is shoot me an email and I send you a copy when I am done. Did you ever came up with a solution to handle incoming messages? Thanks. Hi, i would like no know, how i can send sms message wia MS Access. 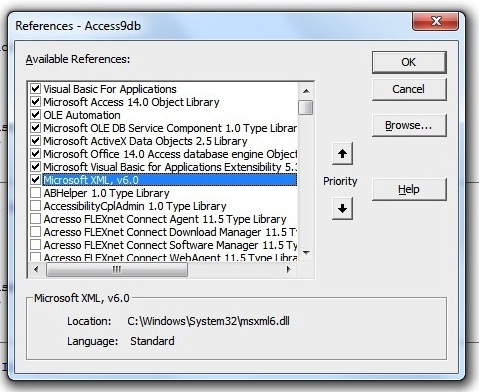 For example i have all data on MS Access table and i would like send sms automatically. Can you help me please. This was working great but now I think the parent organization is blocking the twilio site. Do you know of a way to get around this? Don’t have this in production, so can’t tell. What kind of error are you getting? Oleksiy great tutorial on Twilio/ Ms Access Integration. Did you ever have any luck with capturing incoming SMS messages?